Does letting little Billy play violent games make him more likely to want to crack skulls open? Some researchers believe so. We've heard the argument time and time again: playing violent videogames causes children to be more aggressive. Whether or not one agrees with the statement, it's certainly a topic of intrigue among researchers, parents, and gamers alike. 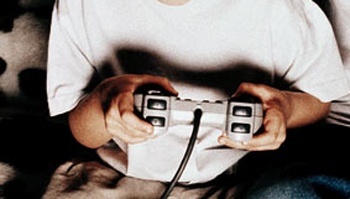 This month, the journal Pediatrics features a report on the latest scientific research indicating kids who play violent videogames are more prone to aggressive behavior. Dr. Craig A. Anderson, Ph.D., of Iowa State University, and a team of colleagues studied violent videogame playing among youth in U.S. and Japan over an extended period of time during the school year. In studying three groups of kids - 364 U.S. kids age nine to 12, 181 Japanese kids ages 12 to 15, and 1,050 Japanese students age 13 to 18 - the researchers looked at the games kids played, how frequently they played them, and then interviewed the children about their levels of aggression in relation to the violent games they played. The data collected was primarily from kids rating their own aggression levels, but the information gathered from the U.S. children was also weighed against comments from peers and teachers. Gender and previous levels of aggressiveness were also taken into account. In each group, children exposed to more videogame violence showed higher levels of aggression over time than those who had less exposure. "We now have conclusive evidence that playing violent video games has harmful effects on children and adolescents," Anderson told the Washington Post. Speaking to CNN, Dr. David Walsh, president of the National Institute on Media and the Family offered a slightly different perspective. "It doesn't necessarily mean that because a kid plays a violent videogame they're immediately going to go out and beat somebody up," he said, regarding the way violence in media has caused children to change how they behave towards one another. He said the real impact comes in the form of a gradual shift in social norms that show up in youths' behaviors over time. A fully-detailed version of the report and study can be found here.